From our hotel in Sweimeh, Jordan we took a short shuttle ride to the Dead Sea. The fun began even before I reached the beautiful beach lined with recliners and colorful umbrellas. 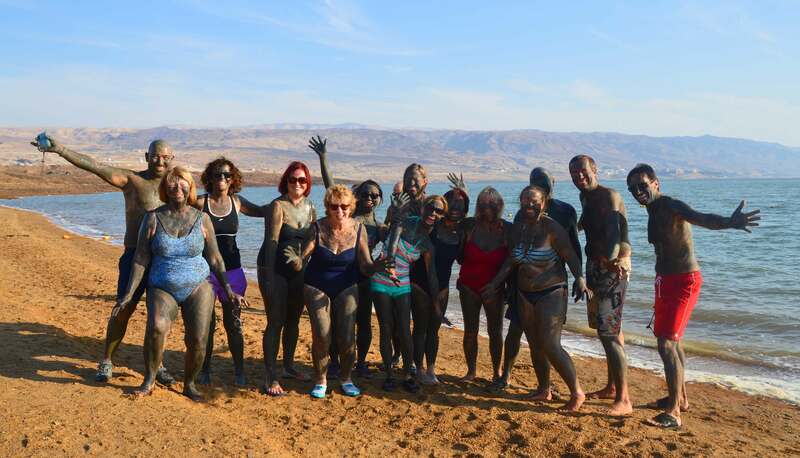 Two members of my Exodus Travels tour group were already in a small enclosure laughing as they smeared Dead Sea mud all over themselves. Soon everyone joined in the fun. Smearing the mineral rich Dead Sea mud on is part of the fun. A tour group photo before heading into the water. The mud, like the water, is rich in minerals and very good for the skin. The Dead Sea is one of the saltiest bodies of water in the world. Its name comes from the fact that the water is far too salty for marine life. 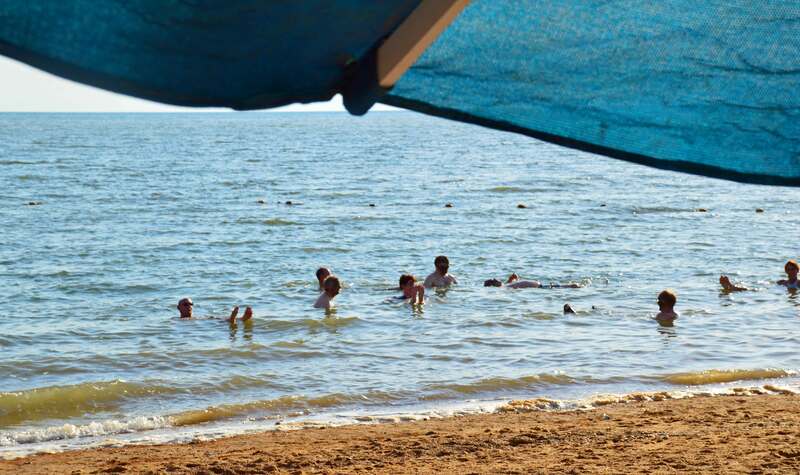 The beach is a family destination for guests at the hotel. Soon our mud-covered troop headed for the beach and the Dead Sea. Because of its high content of salt, it is nearly impossible to sink. The water was surprisingly warm and felt good on my skin. Floating in the Dead Sea. I floated and enjoyed this unusual encounter for more than an hour until the sun began to set. I hurriedly got my camera and walked a good distance from the beach to get a photo of the sun reflecting on the sea as it set. The perfect ending of another perfect day. If you have the opportunity to experience a dip in the Dead Sea while in Jordan or Israel, make sure and wear waterproof sandals. The salt can be jagged and can cut your feet. Also, only float on your back. Accidents happen when weak swimmers try to swim stomach down because their legs float best and their head will be submerged. Short of drowning, inhaling the water can cause life threatening medical problems because of the water’s very high electrolyte content. So, be safe and have fun. It’s an experience you’ll never forget!! For more articles about Jordan, click here. Your traveling History is cool. You really enjoy there. 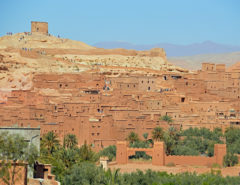 I am very excited to go there after I read your post and thanks for your waterproof sandals suggestion. Thank you!! I love history and traveling!! Being at such a historic area is amazing to me! How fun! 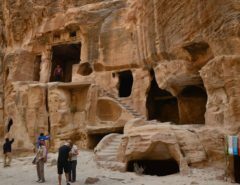 I have always wanted to add the Dead Sea to our travel destinations, and your fun article just eggs on that desire. You captured the spirit of the trip beautifully, and I love the sunset photo. Thanks for sharing. It was a fun experience. I spent several hours there enjoying the water and the fun group I was with. Thank you for your kind complement too!! Loved this look at getting ‘down and dirty’ in a manner of speaking while you were in Jordan. 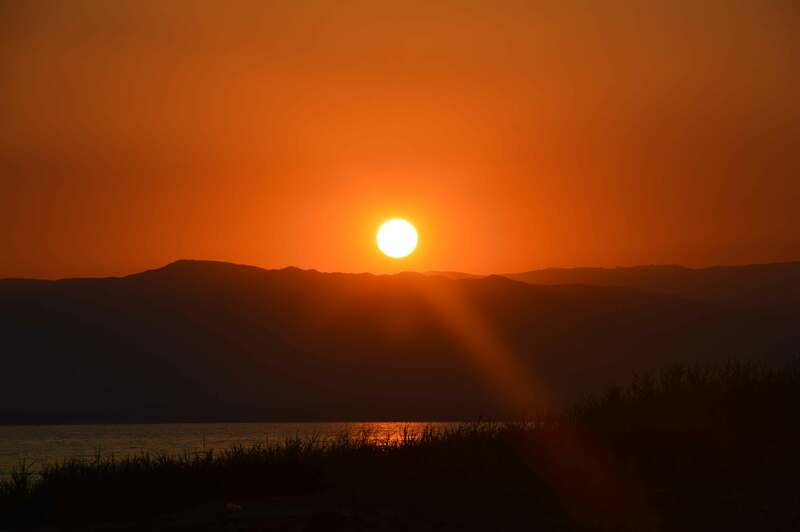 I so loved that country and your post makes me want to go back and head to the Dead Sea! We all had such a great time!! I loved Jordan and would go back in a heartbeat. 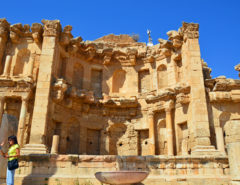 In many ways, other than Petra, it is an undiscovered gem! I would love to float in Dead sea but would more than likely swim withmy stomach down. Great advise. It was a great experience, but strange. It was even hard to stand up after floating because of the buoyancy! What an interesting experience. How did your skin feel after the treatment? It was a fun time! My skin was so soft. I even purchased the mud and brought it home! 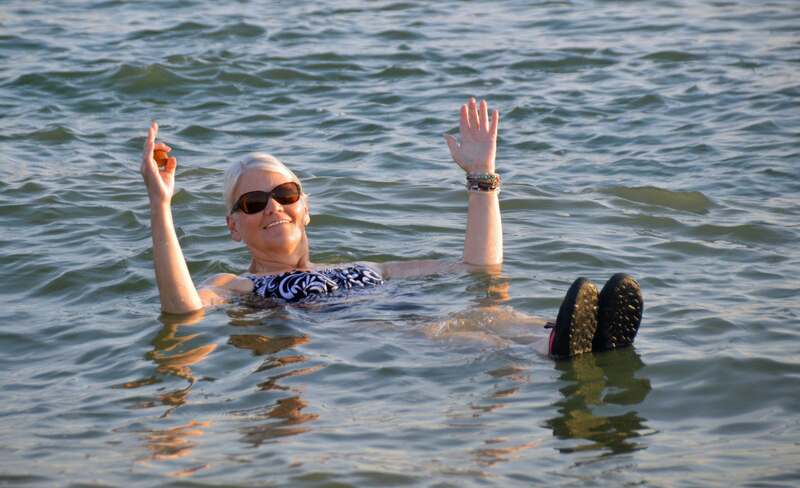 Floating in the Dead Sea is a bucket list item! I remember how excited I was when I visited. However, we were given only a half-hour from start to finish, yet I do have a vivid memory of applying mud and floating and capturing a picture of my husband reading the newspaper while floating. I didn’t really know what to expect, but I sure had a fun time!! We were given most of the afternoon to enjoy the beach and the water. I can swim but not very well, so, like you, it was a real bonus to be able to just float the afternoon away!! I would totally love to float in the dead sea. I would only do it on my back too, I’ve heard it’s the only way :-). It must have been a fun experience..and boy..that sunset… Awesome! It was a wonderful experience. I was with a fun group too!! We stayed a long time as afternoon eased into evening; a very memorable day!! I would also add to move slowly when you’re floating in the Dead Sea. My son splashed his arms around and got a drop of that salty water in his eye. It was really painful! And don’t swim soon after shaving! Both excellent points!! Thank you for reminding me of the negative aspects of too much salt!! Thanks!! Also someone else commented to be careful about getting the water in your eyes since the salt content is so high! All that said; it was a fun time! !